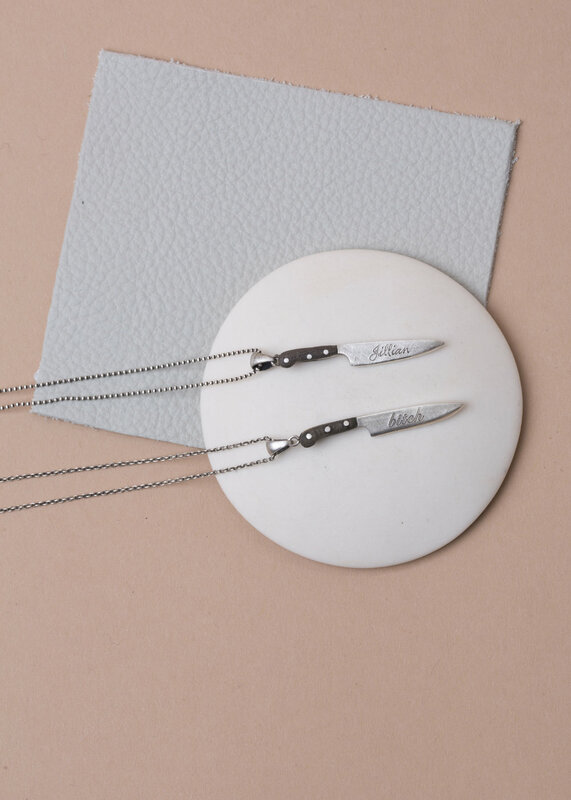 Utility taken and manipulated into a customizable piece of jewelry. 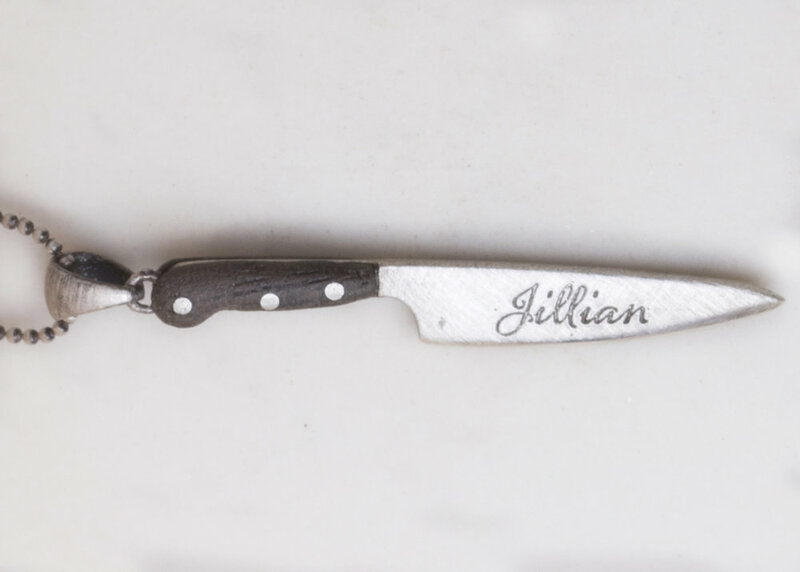 This knife, 1” tall, is to replace your nameplate, engrave anything you like. 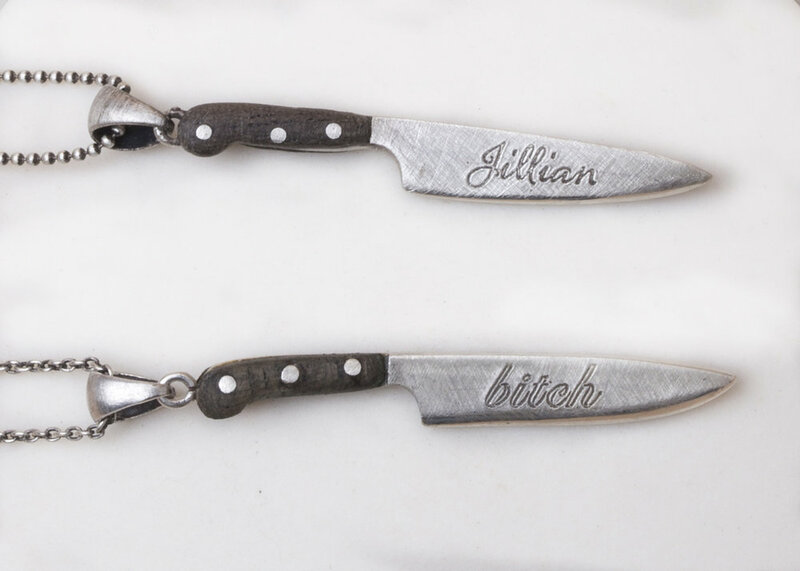 A rather… cutting edge way to display your name or birthday or whatever you please.